Walter McDuffie and Jack Roberts became Life Members in the the North Carolina Pest Management Association (NCPMA). The NCPMA has granted Life Member status to six individuals in the association’s history. NCPMA offers Life Member status based on an individual’s active membership for 20 years or more and outstanding service to the pest management profession. McDuffie’s career and membership in NCPMA span more than 50 years. He joined NCPMA shortly after receiving his bachelor’s degree in entomology from North Carolina State University and founding McDuffie Pest Control in Elizabethtown, N.C. McDuffie served multiple terms on the NCPMA board of directors and served as the president of the association in 1982. Roberts’ career and NCPMA membership also span more than 50 years. He graduated from North Carolina State University and, shortly thereafter, founded A-1 Pest Control in Lenoir, N.C., in 1965. Roberts served on several NCPMA committees and served multiple terms on the NCPMA board of directors before serving as president from 1973-74. 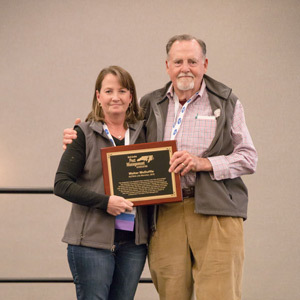 During his two terms as president, Roberts was instrumental in helping NCPMA become an affiliated chapter of the National Pest Management Association. 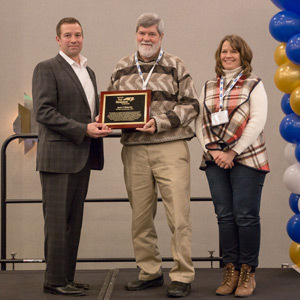 The induction ceremony for McDuffie and Roberts was held during the NCPMA Pest Control Technicians’ School in Durham in January 2019. To learn more about NCPMA, please visit its Web site at: www.ncpestmanagement.org.